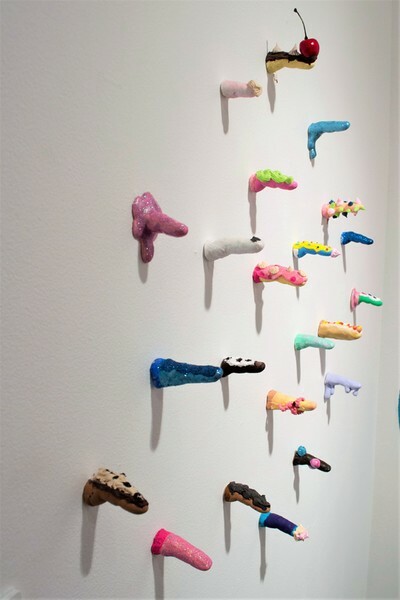 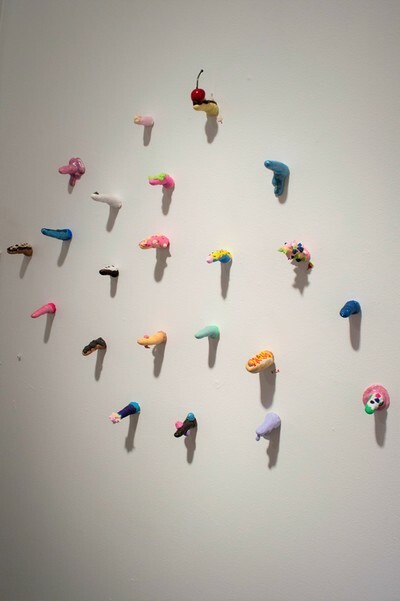 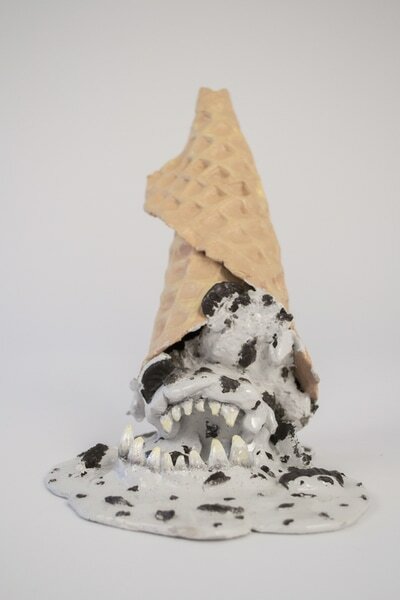 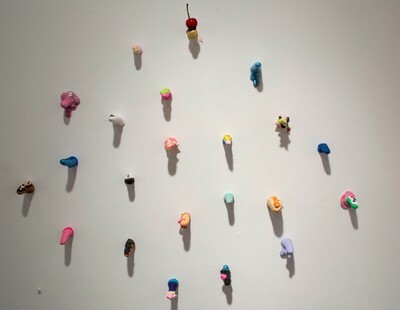 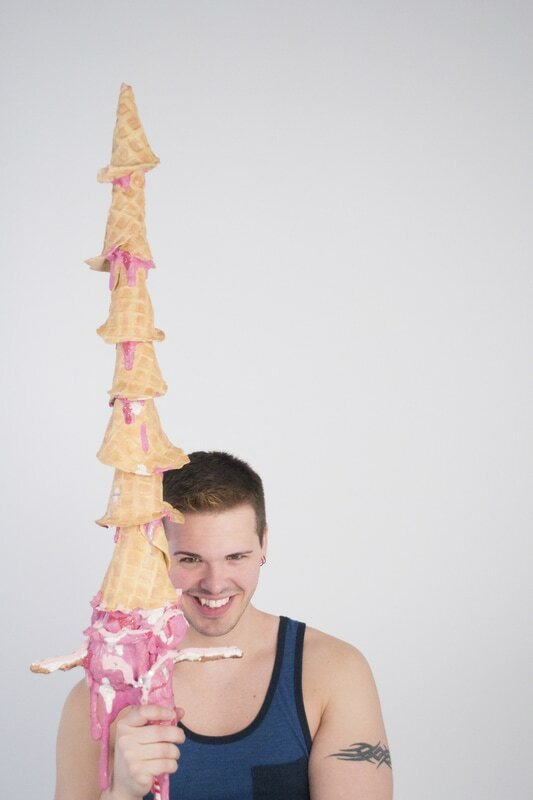 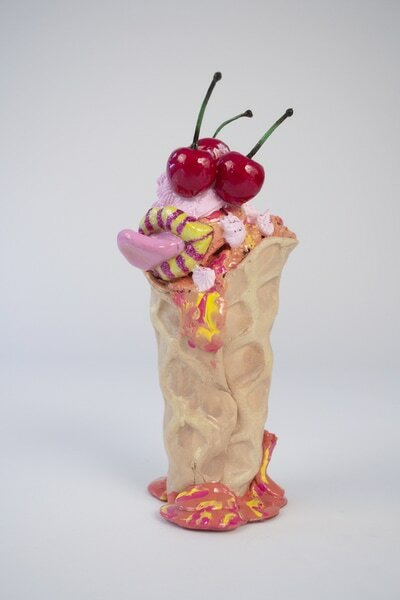 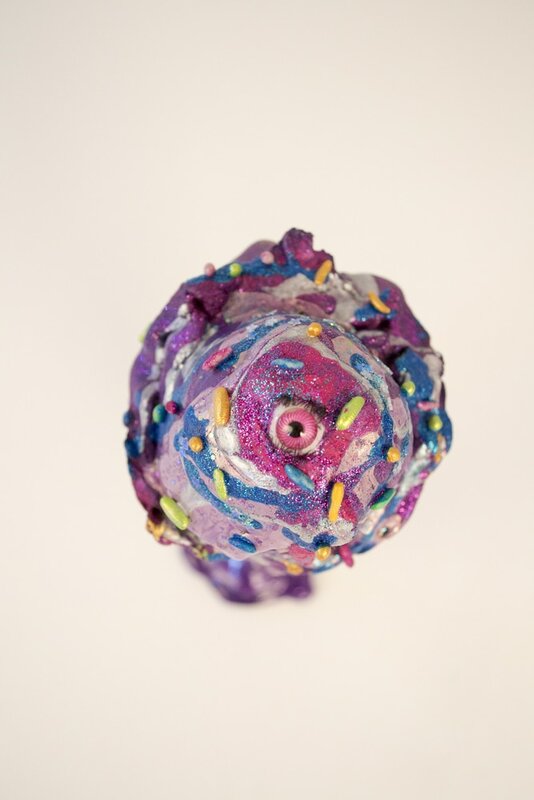 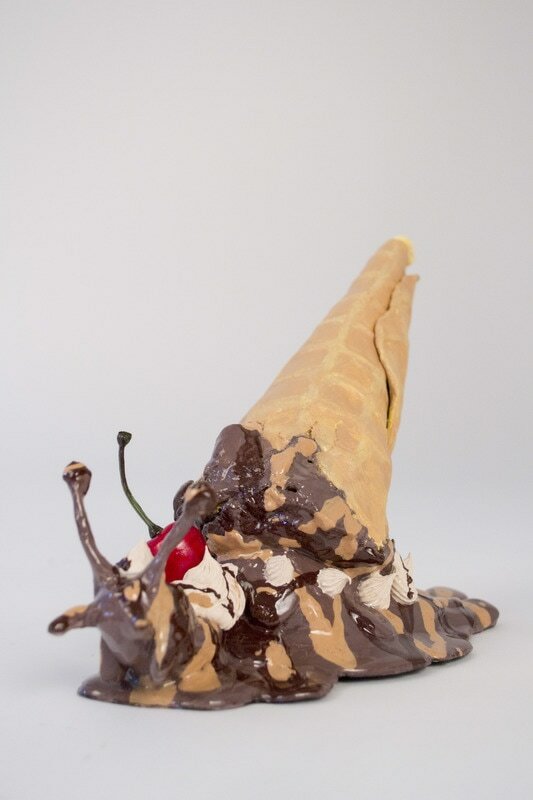 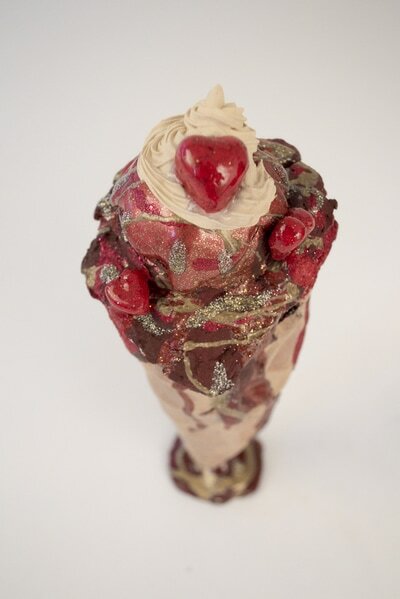 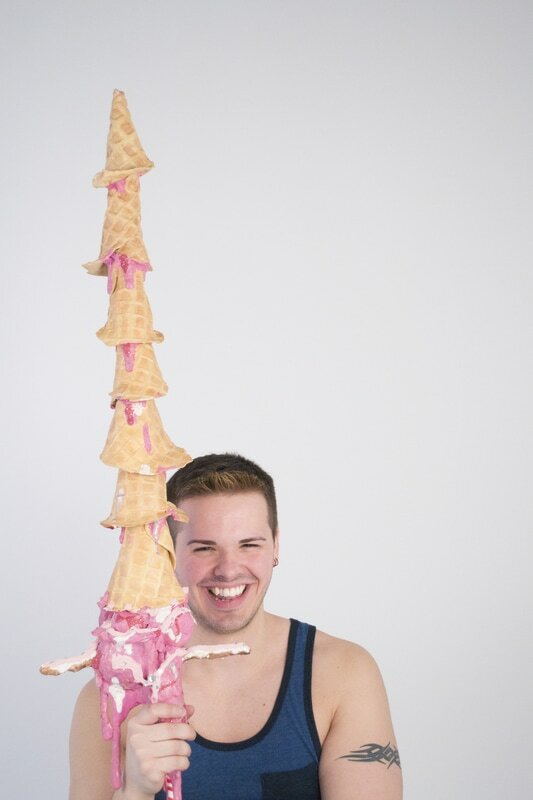 The Sweet Show is a sculptural and video installation that satirically addresses regret of lost opportunity. 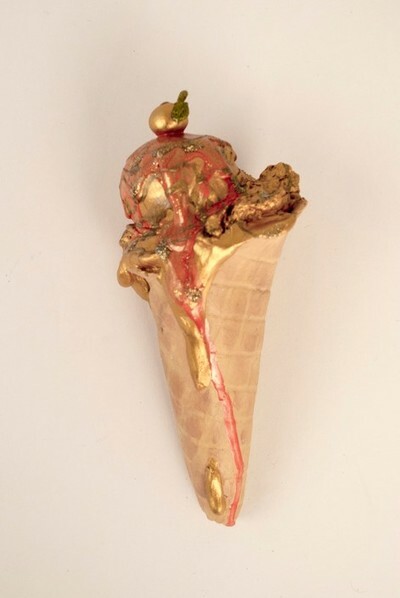 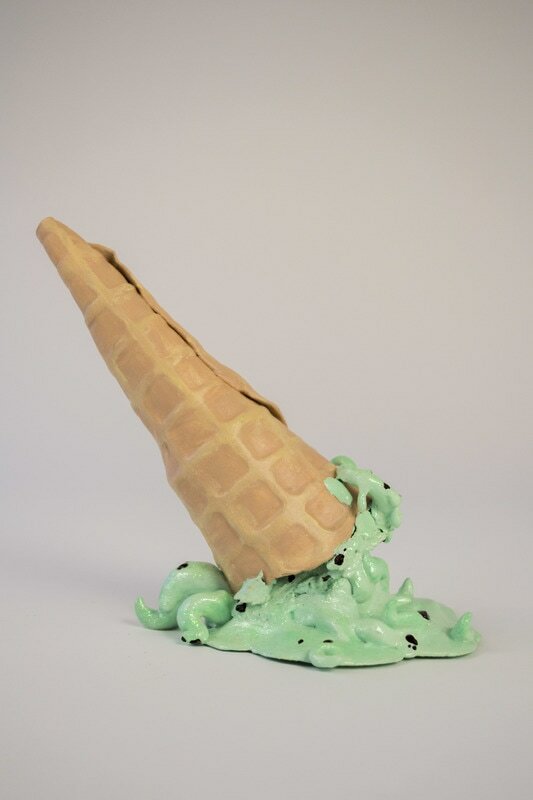 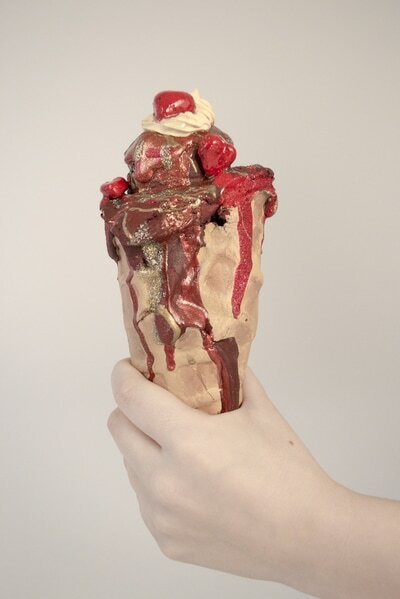 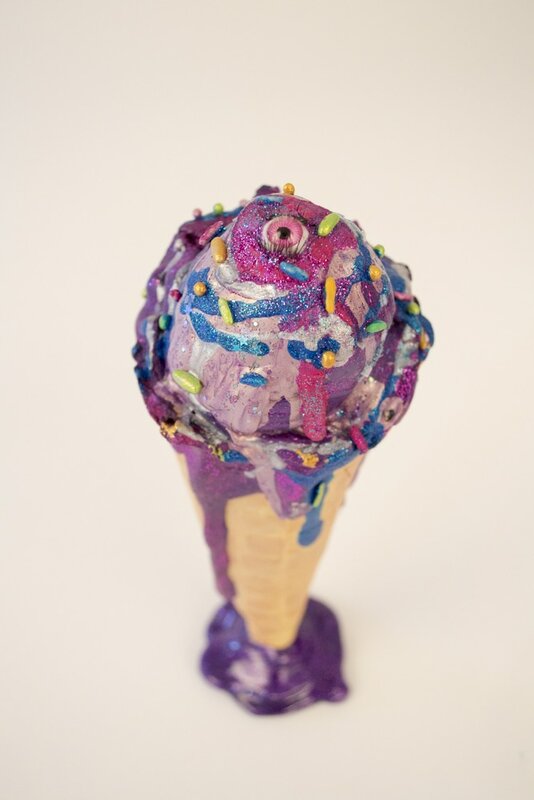 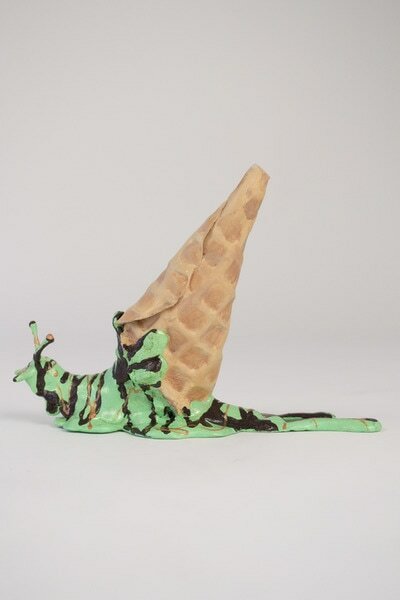 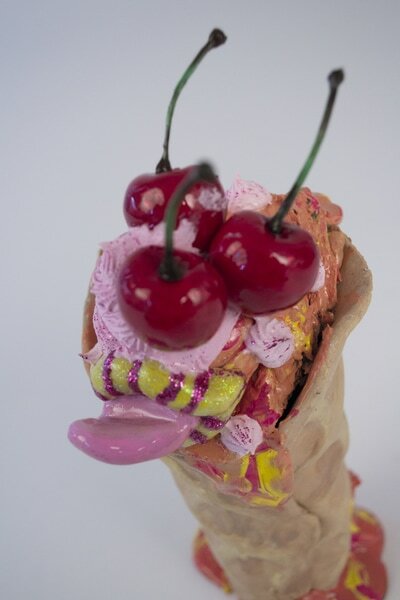 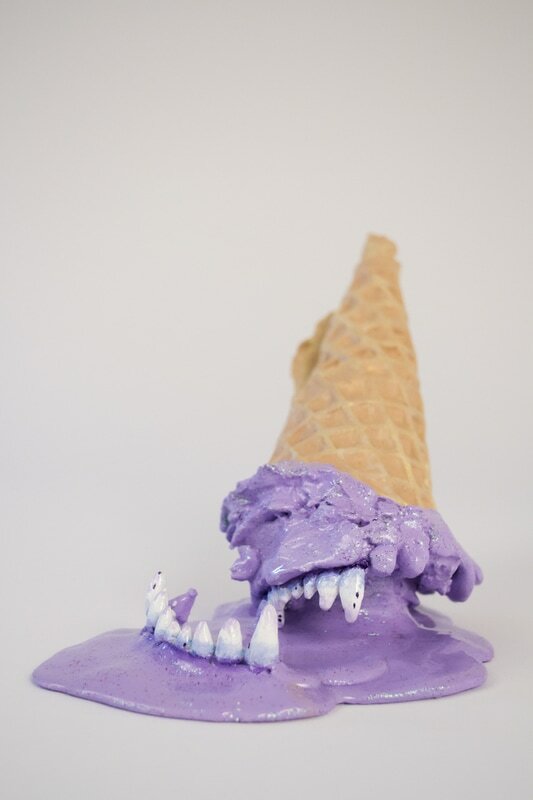 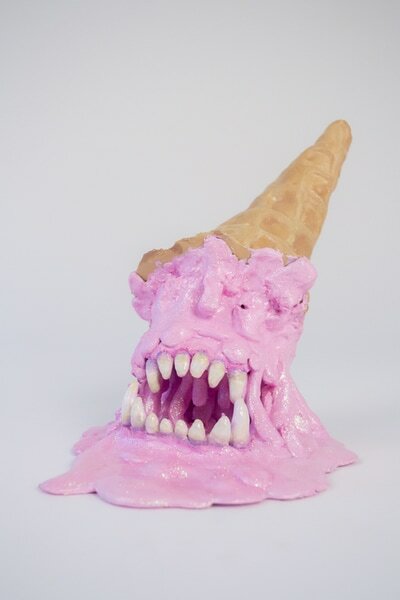 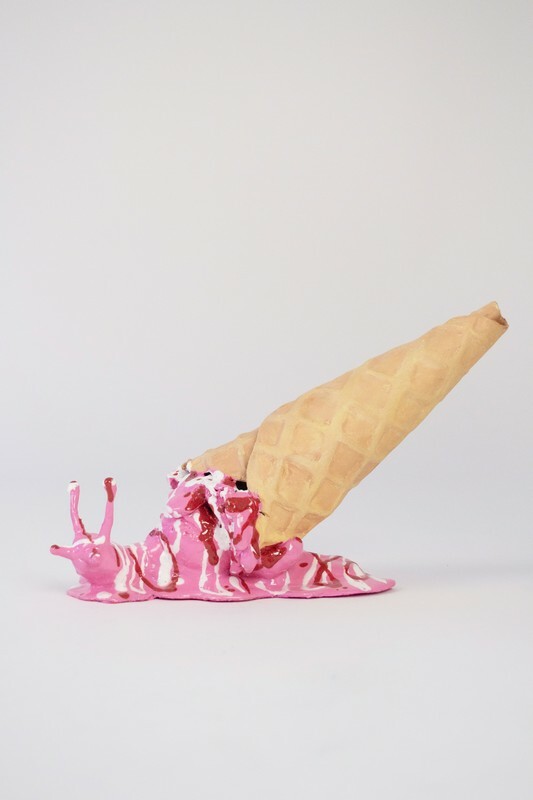 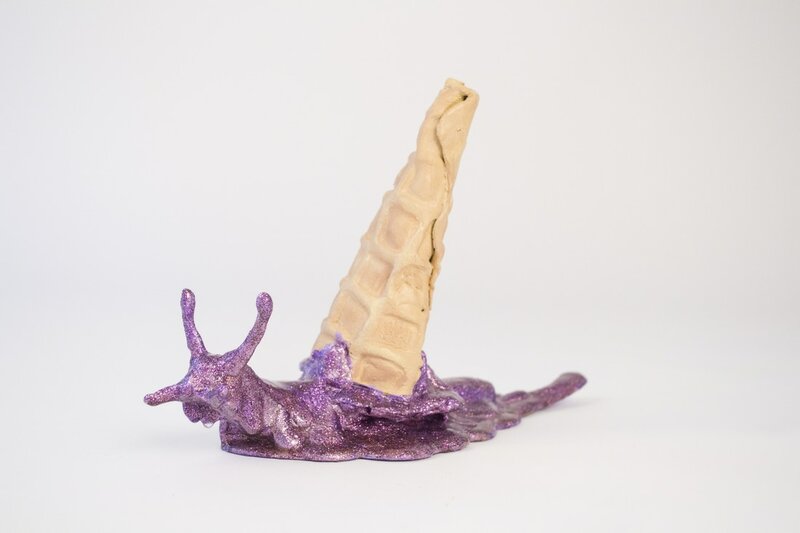 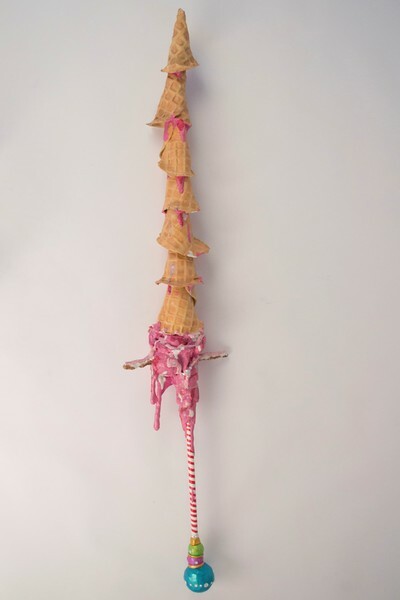 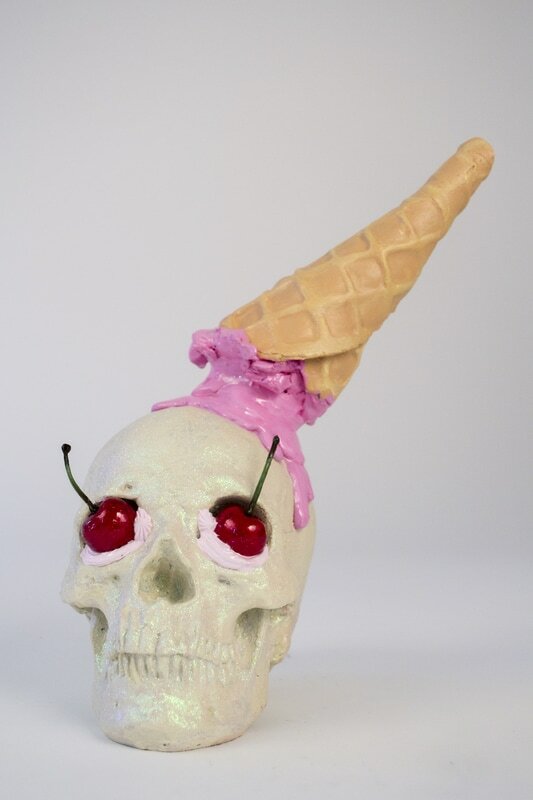 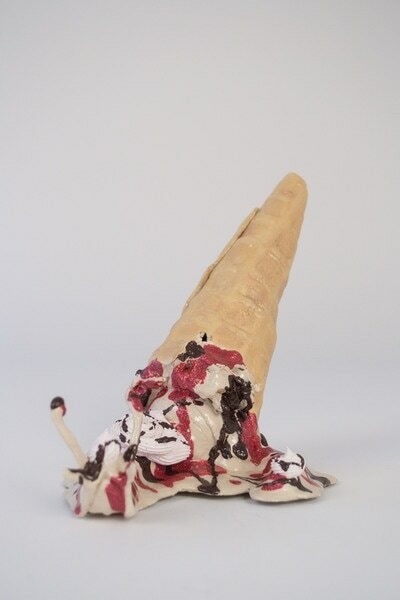 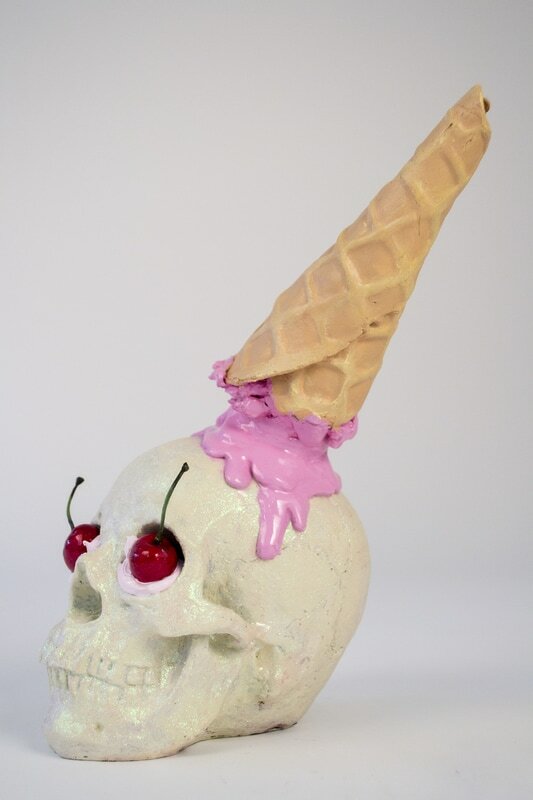 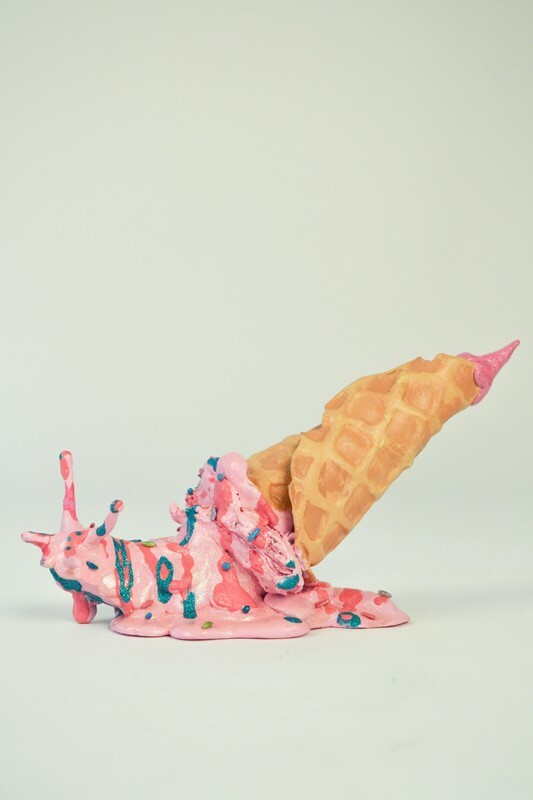 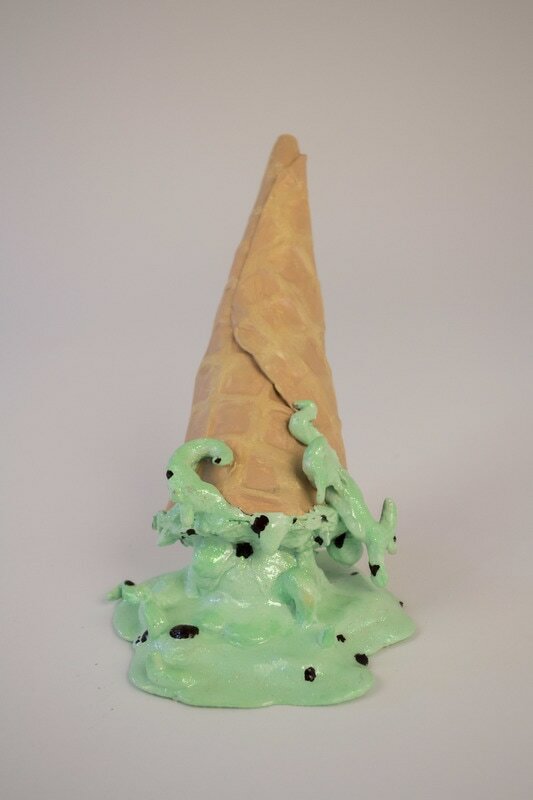 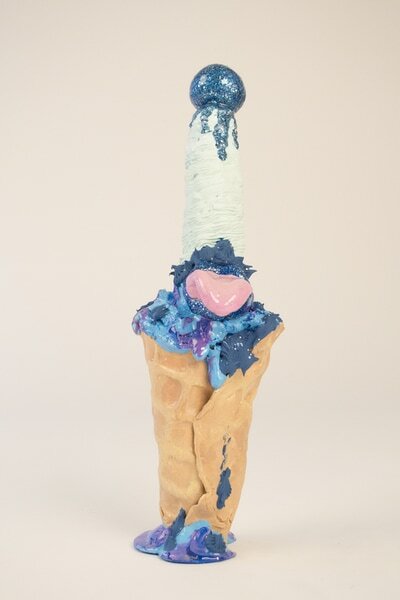 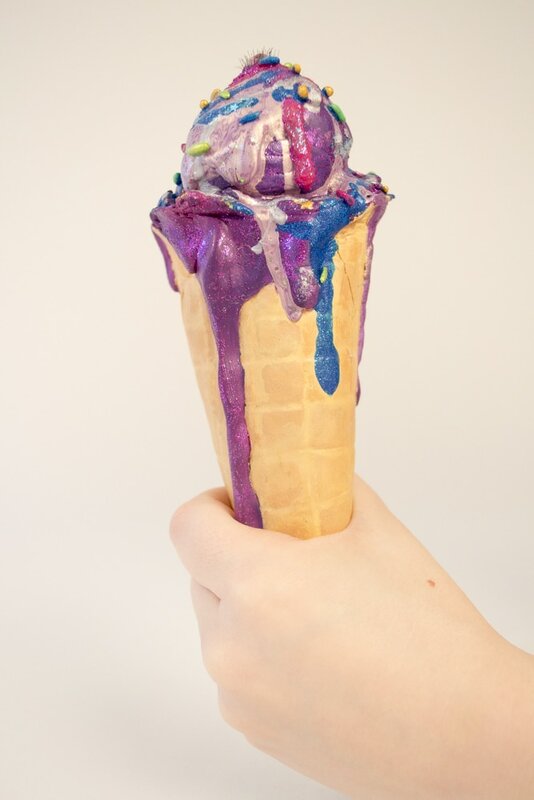 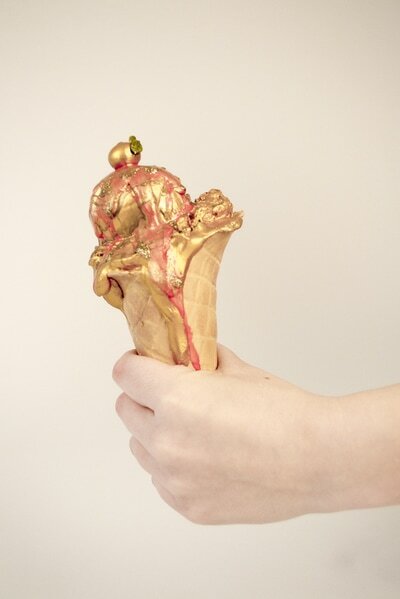 The ice cream cone is a delicious object held in our eager hand; however, once the grip is lost the treat becomes a revolting gooey mess at our feet. 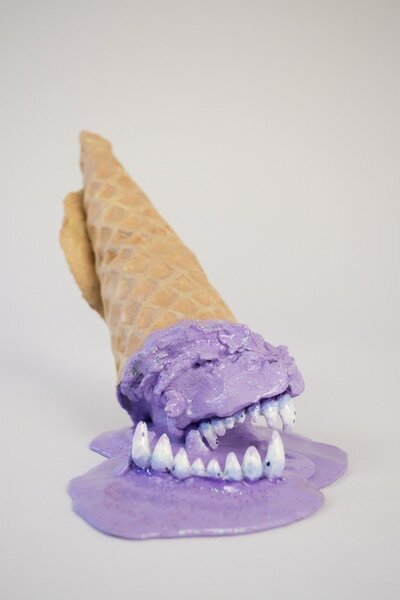 I use familiar forms and delectable content, but subvert their desirability with unexpected or unsettling imagery. This juxtaposition and inverting a sense of innocence, makes pastel colors become cruel, turns deliciousness into disgust, turns dangerous into humorous, and changes childlike sweetness into eroticism. 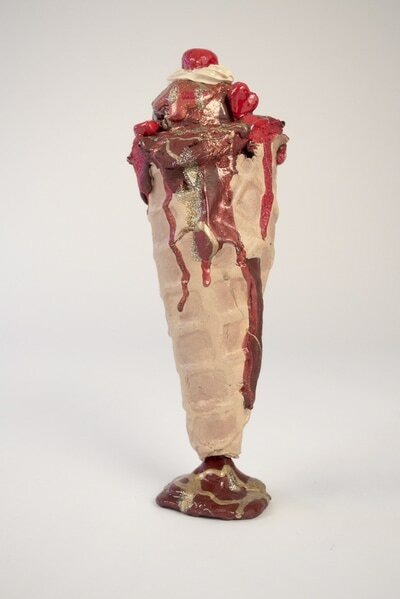 Directed and Produced by Cody A. French, featuring artist Haley Criswell.